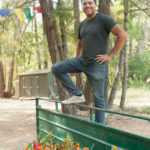 Located in the forested mountains of Northern California, Rangjung Yeshe Gomde is a center in the Chokling Tersar lineage of Tibetan Buddhism under the spiritual direction of Chökyi Nyima Rinpoche. 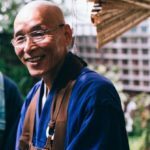 Gomde California’s diverse programs present the complete Buddhist path as found in the foundational teachings of the Buddha, the Mahayana teachings on emptiness and compassion, and the profound instructions of the Vajrayana. Our remote, beautiful land offers the perfect environment for both new students and long-time practitioners to deepen their understanding of the Buddha’s teachings through study, contemplation, and meditation. Due to an issue with our telephone service provider, we can now be reached at: (707) 489 – 6605. This year we are hosting a special 10-day Work Week in preparation for a busy summer of seminars and retreats. 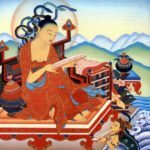 As an offering to our volunteers, Khenpo Tsondru Sangpo from Ka-Nying Shedrub Ling monastery will join us for 7 days of evening teachings during Work Week (May 18th– 25th), on a Madhyamika text of his choice. 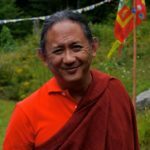 Chokyi Nyima Rinpoche will once again grace Gomde California with his loving presence. 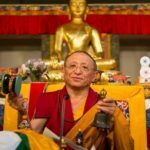 Prior to the main teaching program, we will hold our annual Ngakso Puja with Rinpoche for the repairing of broken commitments. 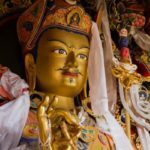 Located in the forested mountains of Northern California, Rangjung Yeshe Gomde is a center in the Chokling Tersar lineage of Tibetan Buddhism under the spiritual direction of Chökyi Nyima Rinpoche. 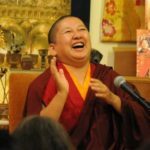 Gomde California’s diverse programs present the complete Buddhist path as found in the foundational teachings of the Buddha, the Mahayana teachings on emptiness and compassion, and the profound instructions of the Vajrayana. Our remote, beautiful land offers the perfect environment for both new students and long-time practitioners to deepen their understanding of the Buddha's teachings through study, contemplation, and meditation.